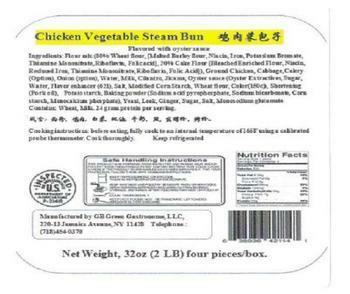 GB Green Gastronome of Jamaica, N.Y., is recalling approximately 8,000 pounds of chicken and pork products. The products contain coconut milk and coconut cream, tree nut allergens not declared on the label. The recall products, bearing establishment number “EST. 21418” or “EST. P-21418” inside the USDA mark of inspection, were shipped to wholesale and retail locations in Ohio and Pennsylvania. Consumers with questions may contact Iris Chen at (929) 405-0234.